The sand in Jackass Canyon is the easiest i've seen it in years. 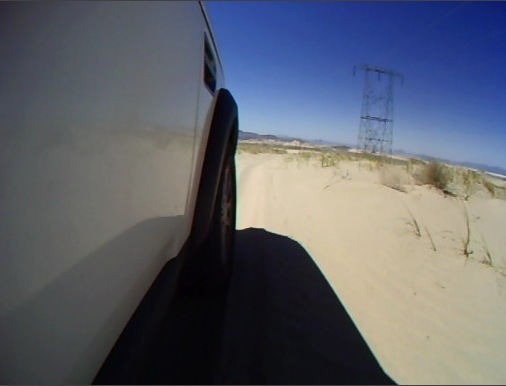 I was experimenting with my GoPro camera. Here I mounted it with the suction cup to the inside of the sunroof. 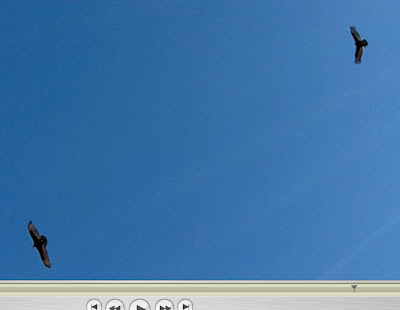 Later I flipped/rotated the video using QuickTime Pro. I could have used the GoPro ability to record video upside down, but I didn't want to pull out the manual and figure it out. 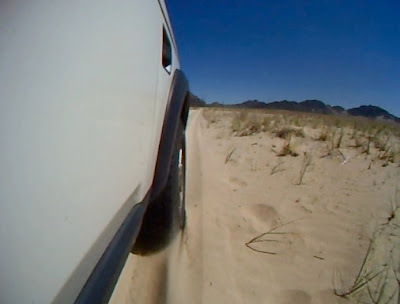 Then I wanted to see how deep my tires sink into the sand. 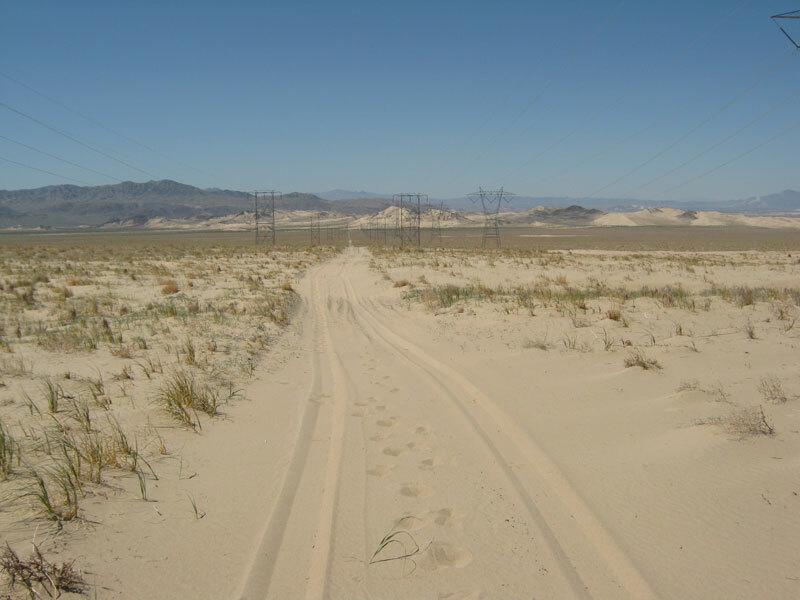 I decided to do some runs on the deep soft sand covering the powerline road west of Jackass Canyon headed toward the old raiload town of Sands. This google map is centered on that section of road. This area is aptly named the Devil's Playground. The sand wasn't as deep as I thought. 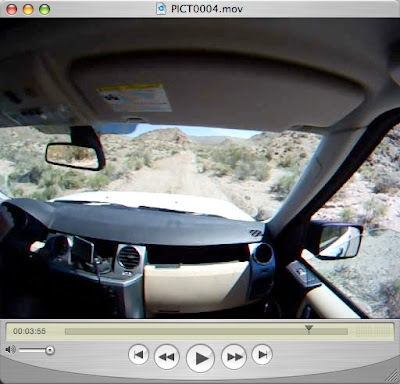 I learned that if I don't get the speed up initially, the rover bogs down pretty fast. It didn't bog so much that it stopped. 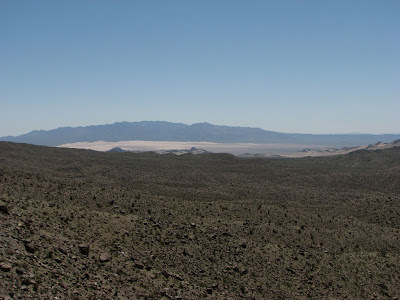 I think I'll make the drive to Sands in the coming weeks. Later, at home while viewing the video, I learned something important. When the camera is on the shaded side of the truck, the contrast is too much and I can't see the tire/sand very well at all. While hiking around in the area I was being watched by a trio of golden eagles. It looked like two adults and one juvenile. 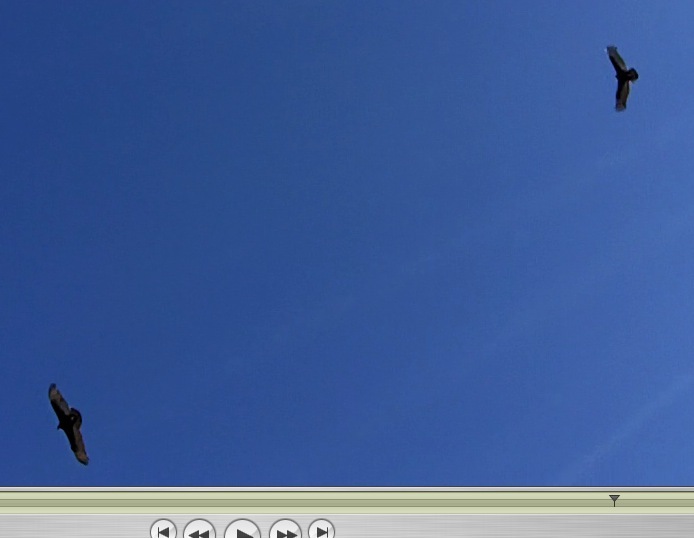 At one point, they were very close to me and it was obvious that the adults' wingspans were over 6 feet. 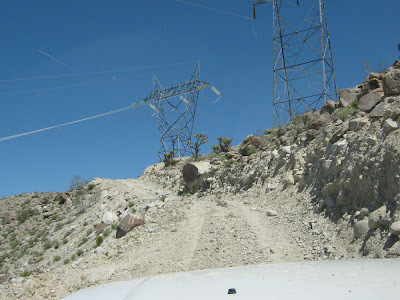 I decided to drive the powerline roads east of Old Dad Mountain again. 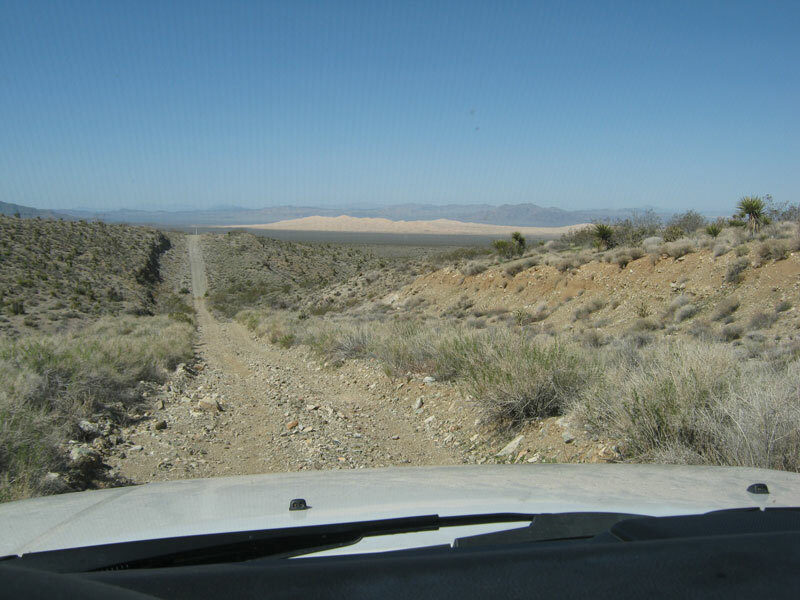 This time I drove up the steep hill, instead of down. It's not that steep. My inclinometer said it was about 17 deg. Here's a shot near the top, on the steep section. This spot is centered in this google map. 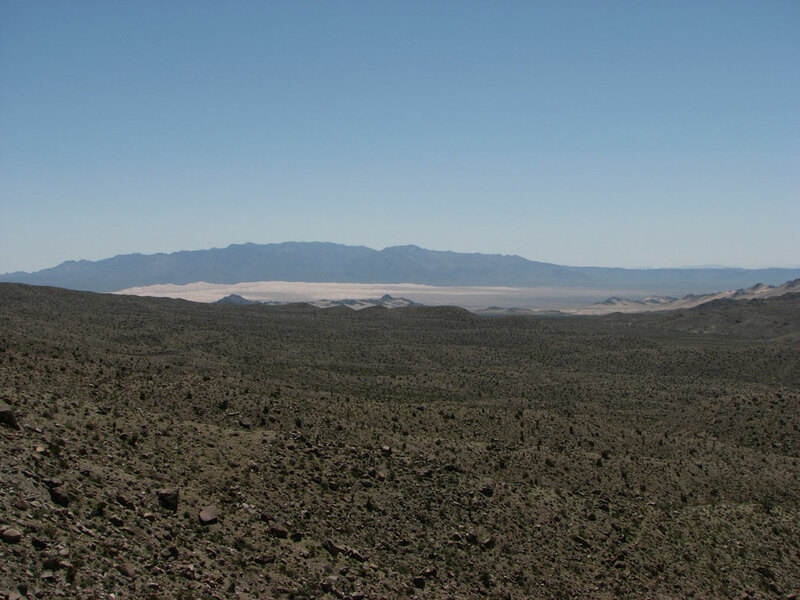 Here's a shot I took from the top of the hill, looking toward the Kelso Dunes to the south west. It was a great day. Clear skies and about 80F with a slight breeze. Here's a shot of the roller coaster gas pipeline service road near Foshay Pass. Some of the hills are kinda steep. 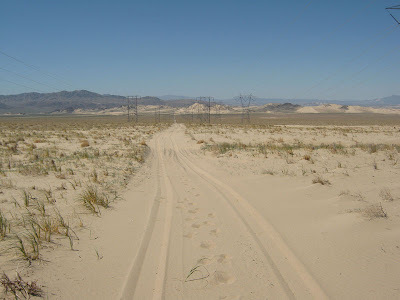 That's Kelso Dunes off to the west. The camera looks like a cool new gadget. Going to post video? 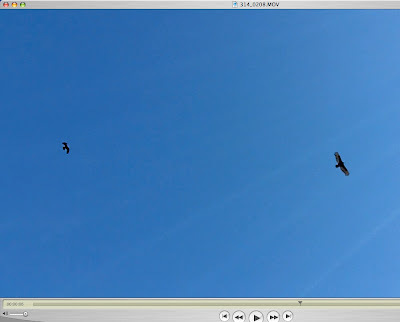 Upon further review, I suspect that those "eagles" might have actually been turkey vultures. 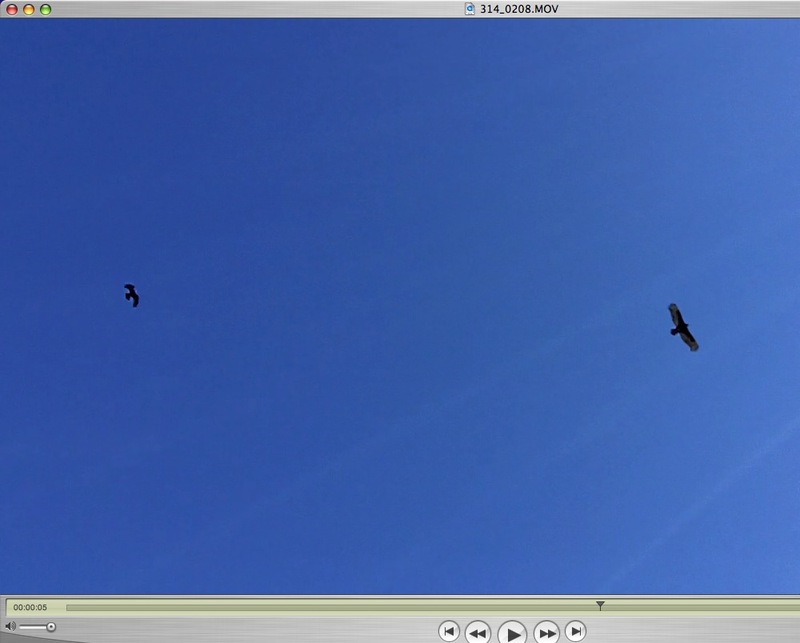 Upon further review, I suspect that those "eagles" might have been turkey vultures.